Why Did I Try To Walk Into Russia With A Box Of Ammunition? Now it looks as though the situation is what it seems: Miles will be held for at least 60 days as charges of smuggling & trafficking are investigated. If evidence is found against him he could spend up to 7 years in prison, in Russia! To us Americans it seems to be a case of, “Bad Russia!” But I have lived here two years now & I see a different side to what has happened! There is more to this situation than the Pastor’s support group from within & outside of Russia is telling….. This situation will spread to the missionary in Russia! I hope the friend that he tried to bring ammunition in for has a legal right to have a rife in Russia? “This website will be updated any time we receive official news about the status of this case. If you hear or read anything about this case that contradicts information on this website, please disregard it. MOSCOW, RUSSIA (ANS) — A South Carolina pastor detained in Russia early this week after bringing hunting bullets into the country while on a mission trip will be held in a prison there for 60 days while prosecutors investigate smuggling and trafficking charges against him. 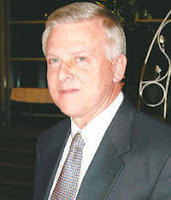 A story written by Robert Morris of The Sun News, Myrtle Beach, South Carolina, said that after a formal hearing Friday in Moscow, Pastor Phillip Miles of Christ Community Church in Conway, South Carolina, will be moved from a temporary airport detainment facility to a prison for the investigation, according to David Aylor, Miles’ nephew and a Charleston attorney. Two Russian attorneys are representing the pastor and the U.S. Embassy is monitoring the situation, but the case is essentially in the Russian prosecutors’ hands for two months, Aylor said. Morris said that if the case goes forward and Miles is convicted, he faces three to seven years in prison for the smuggling-ammunition charge or up to four years for trafficking in ammunition, said Nicole Thompson, a U.S. State Department spokeswoman. On his way back through the Moscow airport this week, however, Miles was prevented from returning to the United States as Russian authorities questioned him further. Even after the newly imposed 60 days are up, prosecutors can ask for more time to investigate, Aylor said. The story said that there has been no indication that Miles’ arrest is related to his missionary work, Aylor said. The Russian Orthodox Church is the dominant religion in Russia, and the State Department’s 2007 report on International Religious Freedom describes a slight decline in some groups’ right to worship in the country, but no particular pattern of harassment against foreign missionaries or evangelical groups was reported. Because the U.S. Embassy is closely involved in the case, family members are not concerned that any harm will come to Miles in the prison, Aylor said. The pastor, who has a wife and three grown children in Horry County and other close family members throughout the state, has been able to call home since his arrest. “A formal hearing was held in Pastor Miles’ case in Moscow on February 8th. “At the hearing, the State requested that it be given an additional 60 days to complete its investigation of this case. The request was granted by the court. As a result, Pastor Miles will be held in jail in Moscow during the course of the investigation. While the church is disappointed with this temporary setback, we are encouraged that Pastor Miles’ reputation of integrity and character will ultimately lead to his freedom. “The United States Embassy in Moscow is monitoring this situation and has sent representatives to visit with Pastor Miles. They assure us that he is being treated well and remains in good physical condition. Friends in Russia have told the church that his spirits remain high and that those around him have been very impressed with his attitude and demeanor during this difficult time. MOSCOW — A Moscow court has ordered a U.S. pastor to remain in detention for two months while prosecutors investigate him on suspicion of smuggling ammunition into the country, a U.S. Embassy spokeswoman said Sunday. Phillip Miles, a pastor of the Christ Community Church in Conway, South Carolina, was detained at Sheremetyevo Airport on Feb. 3, days after rifle rounds were discovered in his luggage. Miles remained on Sunday in the airport holding cell where he was taken after being detained, the spokeswoman said, speaking on customary condition of anonymity. At Friday’s hearing, the Golovinsky District Court, which has jurisdiction over Sheremetyevo, ordered Miles be moved to a different, “interim facility,” the spokeswoman said. It was unclear when that would happen. “After [Friday’s] preliminary hearing, Miles remains in detention on charges that may include trafficking, with a potential sentence of a monetary fine or four years imprisonment, and smuggling, with a potential sentence of three to seven years,” the spokeswoman said. Airport officials seized the ammunition when Miles entered Russia on Jan. 29. Officials allowed Miles to continue on his trip to Perm, where he met fellow church members, on the proviso that he check in with them at Sheremetyevo on the way back to the United States. When he did, he was detained on suspicion of smuggling the ammunition, which he admitted he failed to declare, as required by law, according to friends. The bullets were a gift for a pastor in Perm, who was a fellow hunting enthusiast, according to the embassy spokeswoman and Miles’ associates. Neither the law enforcement body that detained Miles nor the location of the court could be established as of Sunday. The embassy spokeswoman did not have immediate access to the information and calls to prosecutors, the Federal Security Service and the Moscow City Court went unanswered. Two lawyers contacted Sunday said authorities’ treatment of Miles was within the law. “If he was unsure, all he had to do was approach a customs official and ask if he should declare the bullets,” Sergei Melnikov, a lawyer who specializes in customs and immigration issues, said on Sunday. “Checking one box on the declarations form could have saved him all this trouble,” Melnikov added. It is going to be a long 60 days, will most likely be much longer like years. World Press says Putin: Best Portrait in the World! Seems to me that: Putin is the Man the World, Loves To Hate or Hates to Love! 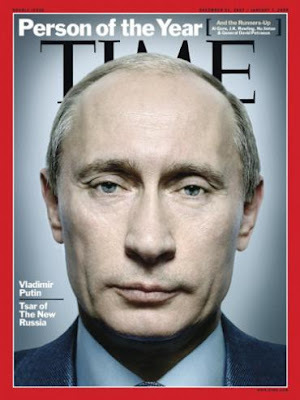 A photo of Putin that graced the cover of Time Magazine has won the prestigious World Press Photo award in the Best Portrait category. The photo was taken by the British-born photographer known as Platon. Well Putin, you are becoming quite a celebrity!